Cleaning your home on a daily basis may not be as easy as you wish. Sometimes you just have to address other tasks, while in other cases you may feel drained and not have the energy to do it. Regardless of the problem, you don’t really need to stress over it that much. Why – because Top London Domestic Cleaners can easily fix it for you. 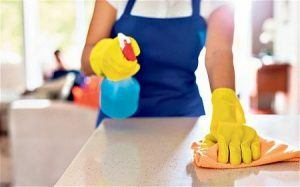 Our company provides domestic cleaning in Kilburn and the surrounding areas. Our company has been on the market for domestic cleaning services for quite some time now. We believe that it takes an experienced cleaning company to really look into the needs and requirements of every client. That is how we guarantee the superb outcome of our service and the flawless outcome of the cleaning sessions. Thanks to our experienced domestic cleaners, we can address every domestic cleaning chore that you have to us. You don’t even need to be home when the cleaning takes place. Imagine your relief to return from work and not have to do any cleaning whatsoever. You are one call on 020 3322 8143 away from achieving this. You may be worried that your budget doesn’t allow the hiring of domestic cleaning services. Fear not – you will find that our prices are especially affordable. One call on 020 3322 8143 and you will have a free estimate to know this firsthand. Our company has set the prices at an affordable level so that more people can take advantage of our domestic cleaning services. 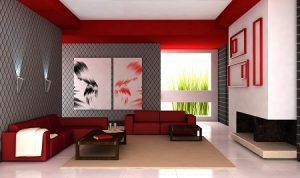 This means that even if you are on a low budget, you can still take advantage of the services of Top London Domestic Cleaners. This is what separates us from other cleaning companies in the area. We are certain that you will love our services greatly and wish to proceed with hiring more. Kilburn is an area that is divided among three London Boroughs: Camden, Brent and a minor part of Westminster. The central street of the area holds great historical value. Its origins can be traced as far back as Celtic times when it was used as a route between the settlements of St Alban and Canterbury. The route became paved under Roman rule and later on became known as Watling Street in Anglo-Saxon times. Kilburn High Road forms the boundary between the Brent and Camden London boroughs. Two railway stations are located on it: Brondesbury (on the North London Line) and Kilburn High Road (on Watford DC Line). The area has only one medium-sized park – Grange Park. It is a great place for sports, as it has a few tennis courts and netball court, but it also a nice area for families with children. The Kilburn Festival takes place here every year. Our professional staff will ensure all cleaning needs are met. All you have to do is trust the best domestic cleaning in Kilburn and give us a call on 020 3322 8143.